Both of Ariad's most important drugs -- Iclusig and AP26113 -- will be obsolete in coming years, making an expensive takeover a fool's errand. I spoke with an institutional investor this morning who's been shorting Ariad Pharmaceuticals (ARIA, betting against the Daily Mail-fueled speculation of a takeover from Eli Lilly (LLY - Get Report) or any other Big Pharma suitor. "A takeover of Ariad by any Big Pharma would be career suicide for the business development guy proposing such a deal," this investor told me. He's not allowed to be quoted by name, per his fund's compliance rules. Why is the Ariad takeover speculation bunk? 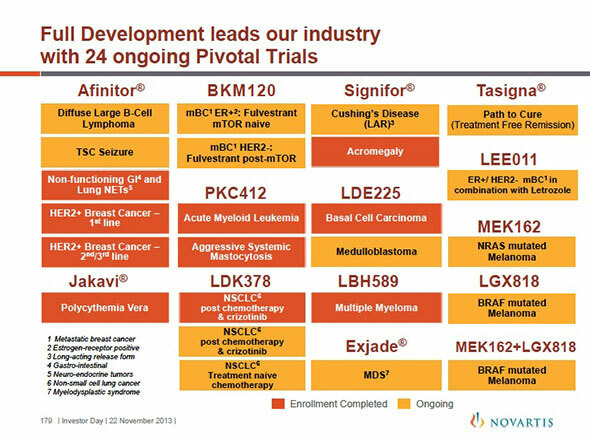 Because both of the Ariad drugs a potential suitor would be conceivably paying a premium for -- the chronic myeloid leukemia drug Iclusig and the ALK-inhibitor AP26113 -- are facing significant competition from drugs in Novartis' (NVS - Get Report) pipeline, he says. Whatever value Iclusig and AP26113 have today stands a good chance of being erased if Novartis' drug development strategy pans out -- a risk not likely to be lost on Lilly or anyone else remotely considering an expensive Ariad acquisition. If the combination of ABL001 and Tasignia prevents the emergence of resistance -- and can do so with a relatively clean safety profile -- there will be no room for Ariad's Iclusig, which is only approved right now for CML patients with the T315i mutation. 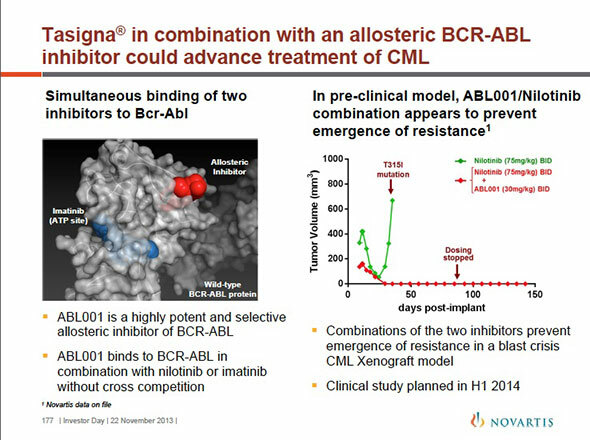 Novartis is beginning human clinical trials of ABL001 in the first half of the year. Ariad's AP26113 faces a similar competitive threat from Novartis' own ALK inhibitor LDK378, which is already in phase III lung cancer studies, including patients no longer responsive to Pfizer's (PFE original ALK inhibitor Xalkori. If LDK378 succeeds and is granted approval, Ariad's AP26113 isn't left with much room to maneuver in what is a relatively small commercial opportunity to begin with. By the way, FDA granted Breakthrough Therapy designation to LDK378 last year. Ariad applied for same with AP26113 but was turned down. For these fundamental reasons, the chances Lilly or any other Big Pharma would pay a significant premium to acquire Ariad is very low, and therefore, the recent run in the value of the stock is unjustified and will disappear once the market realizes that no deal is forthcoming, this investor believes.